Have An Inherited Property You Don't Want? We Can Help! We are ready to make you a cash offer TODAY and close quickly. We know the stress involved in dealing with an inherited property and we're here to help. 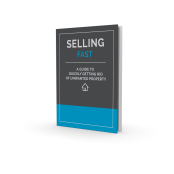 Complete this short form and we'll contact you to find out more about your property and make you an offer PLUS you'll get our brand new FREE report with 7 easy tips for selling your property. © TBRE Holdings, LLC All Rights Reserved.